Kerman J. Nickel is a Certified Registered Nurse Anesthetist (CRNA) for Associated Anesthesiologists, P.C. Kerman is a native of Culbertson Nebraska. Kerman attended McCook Community College and then the University of Nebraska at Kearney for Physical Education. Kerman then completed his Bachelor of Science in Nursing at the University of Nebraska Medical Center in 2005 and continued his education in Nursing at the University of Nebraska Medical Center in 2009 through 2012. Kerman completed his anesthetist training at the Bryan College of Health Sciences School of Nurse Anesthesia in May 2015. Kerman became a licensed CRNA in the State of Nebraska that same year, 2015. Kerman is married with four children, (two sons and two daughters). His personal interests include all types of sports including all Husker athletics, golfing, reading and spending time with his family. 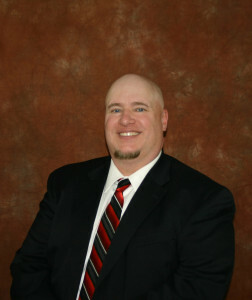 Kerman has been with Associated Anesthesiologists, P.C. since June 2015.